In honor of 2013, I am sharing 13 resolutions that I plan to employ to improve my marketing for the upcoming year. 1. Con­nect more with cus­tomers My goal is to have more two-way con­ver­sa­tions with my cus­tomers and prospects rather than the typ­i­cal one-way mes­sag­ing. Expand my social media, con­tent mar­ket­ing and blog­ging activ­i­ties. 2. Tell more sto­ries Con­sumers typ­i­cal­ly grav­i­tate to brands that have appeal­ing sto­ries. Human­iz­ing one’s brand through sto­ries is a great way to do that. Think TOMS shoes, Google, Ama­zon, Clif bar. 3. Use video to tell sto­ries Pic­tures are often more pow­er­ful than words. And video can be even more com­pelling. Check out this great video from Alexa’s Angels; I feel like I know the team after watch­ing it. 4. More tar­get­ing Seg­ment­ing audi­ences and pro­vid­ing rel­e­vant con­tent to each is a win­ning com­bi­na­tion. Need to do more of it. 5. Lis­ten more We live in a world of inter­rup­tion mar­ket­ing and shout­ing. Think Wash­ing­ton politi­cians. Lis­ten­ing more is the tick­et to being more tar­get­ed in con­tent and respon­sive to needs. 6. Keep invest­ing in email We keep hear­ing about the death of email. Yet email mar­ket­ing still pays big returns (a Direct Mar­ket­ing Asso­ci­a­tion study says it is #1 in ROI). Spend mon­ey on this mar­ket­ing vehi­cle. 7. Test, test, test I am always amazed at how fre­quent­ly my ini­tial hunch­es on designs, offers, and sub­ject lines don’t prove to be as effec­tive as I expect. Test­ing more makes my mar­ket­ing more effec­tive and data-dri­ven, not hunch-dri­ven. 8. Con­sid­er how mobile can help my busi­ness Mobile usage is mas­sive. For exam­ple, we check email on our phones more than any oth­er source. And eCom­merce is huge on cell phones. Invest time in fig­ur­ing out how mobile can sup­port my goals. 9. Expand Social Media beyond Face­book & Twit­ter Spend more time engag­ing with my com­mu­ni­ties with LinkedIn and Pin­ter­est in 2013. 10. Inte­grate cam­paigns into busi­ness sys­tems Fol­low­ing up on leads is stronger when all of a prospect’s touch points are in one place (like­ly the CRM sys­tem). And mea­sur­ing cam­paigns is also much eas­i­er when tied to busi­ness sys­tems. 11. Expand Con­tent Mar­ket­ing pro­grams I am a believ­er in Con­tent Mar­ket­ing (cre­at­ing and shar­ing con­tent with the goal of gen­er­at­ing prof­itable cus­tomer actions). This is a great way to con­nect with my com­mu­ni­ty. Read more about con­tent mar­ket­ing. 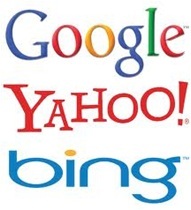 pages of search engines- par­tic­u­lar­ly Google. 13. 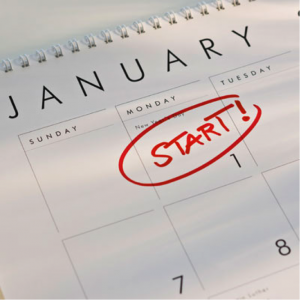 Cre­ate a mar­ket­ing cal­en­dar; stick with it The plan is much more like­ly to hap­pen if I plan it out for the year. I hope my 13 Marketing resolutions have given you some ideas. Have others? Leave them in the comments.